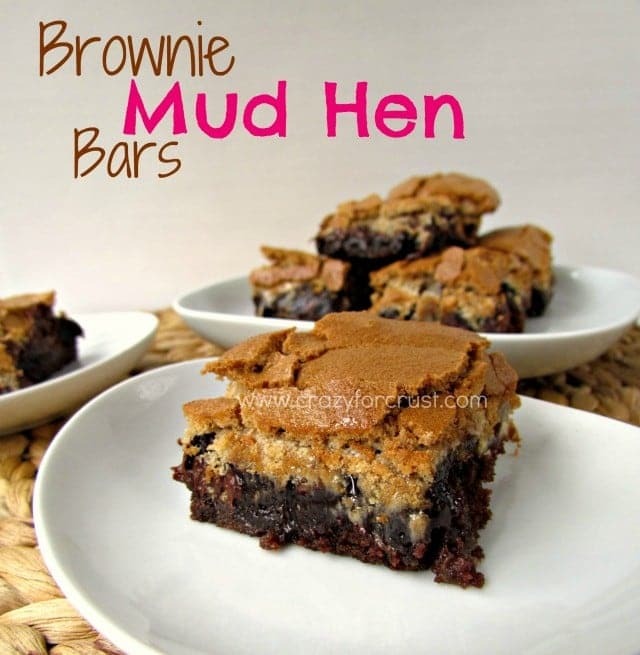 can these be made with gluten free cake mix? I used one and the mix seems more crumbly and not forming a dough ball. My husband thinks it may be because the GF mix is ‘heavier’ in weight and needs another egg or an extra Tbsp butter. Anyone tried making this Gluten Free? I haven’t used the GF mix, so I’m not sure about extra liquid. Are you using a hand or a stand mixer? A stand mixer takes about 1-2 min to get the dough into a cohesive ball, a hand mixer will take longer. 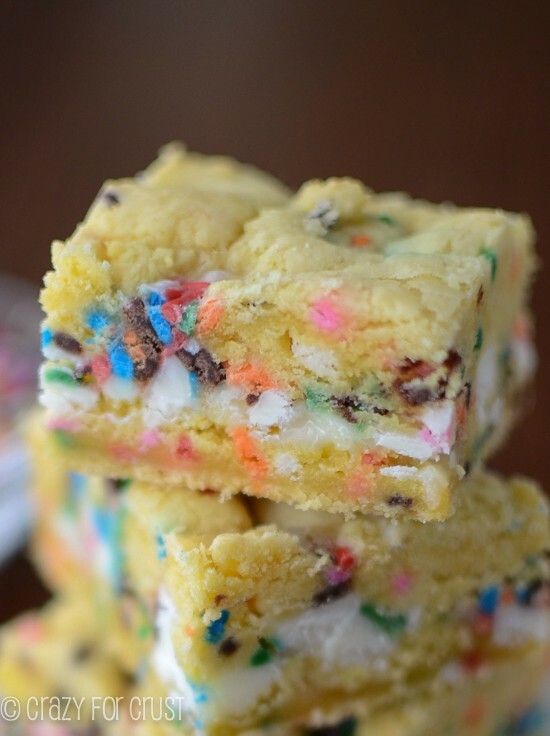 If it’s still crumbly, you could add a little more butter or even a few teaspoons of milk! 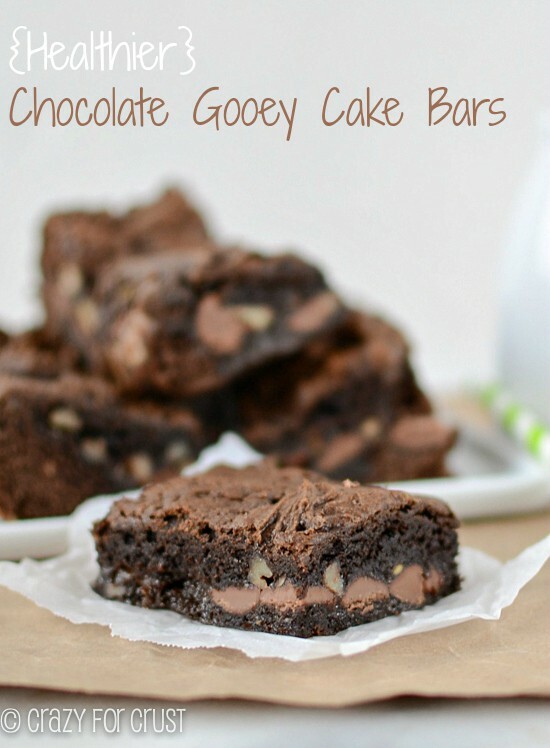 While waiting for my floor to dry I happened upon your Blog and have copied I don’t yet know how many recipes for “gooey”. For the Cinnamon Bun Brownies can you use cinnamon flavoring instead of the dry cinnamon? Thanks for following Muriel! I’m sure you can, but I’ve never used it so I’m not sure how much. If it’s extract, maybe start with 1/4-1/2 teaspoon and taste the dough? You could probably go up to 1 teaspoon, but I’m not sure how potent it is. If it’s the oil, then probably just a few drops! Found this recipe on Pinterest and I’m glad I did! I used butterscotch chip as I didn’t have white chocolate, otherwise made as written. Yummy bars, will make again!! 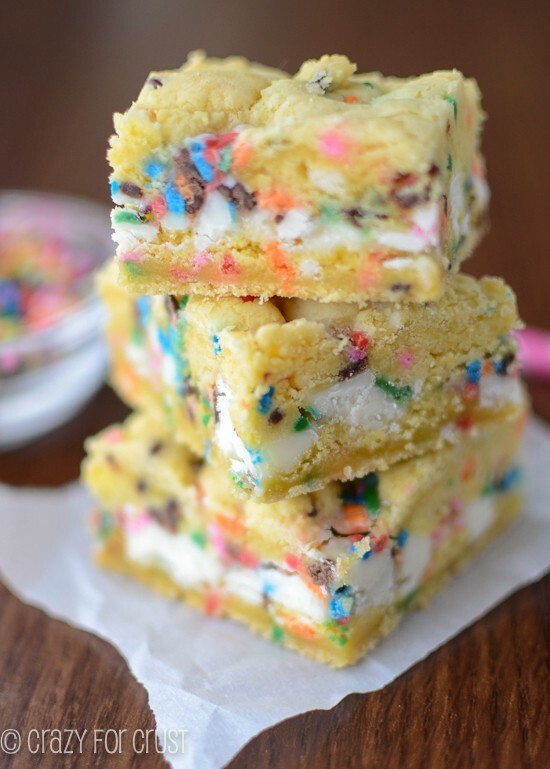 I love the look of the funfetti gooey bars! OMG Yum! I just made these per directions, although I used red and green sprinkles for a holiday potluck. I would recommend using half the dough for the base and the other half for the top. Using 2/3 for the base did not leave me enough to cover the center mixture and it bubbled up between the cracks and kinda got a little brown (white chips turned golden and green sprinkles melted together. So aesthetically not near as appealing as the photos. I am waiting for these to cool, completely, I have learned my lesson with bars and patience, otherwise I left with a mess. 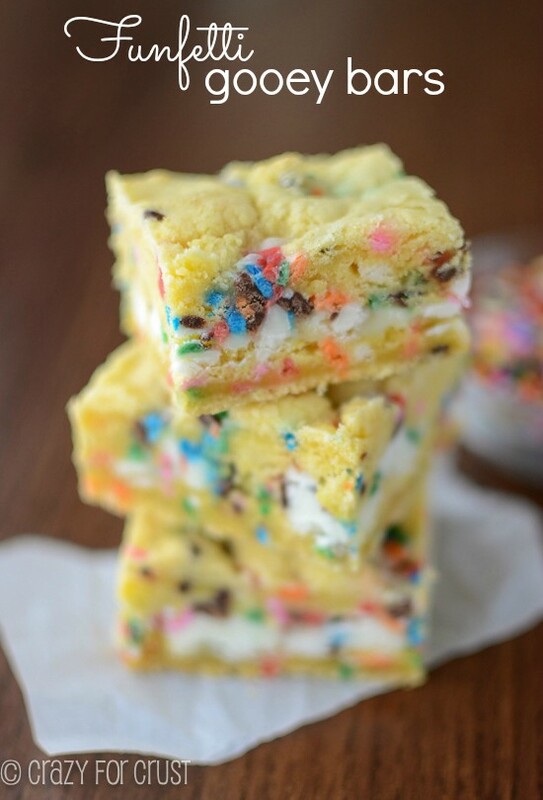 I made these with gluten free funfetti mix and 2eggs instead of 1 and they were delicious!!! I have made these five or six times for my advisory at my high school, and a group of 10 teenage girls can polish off a 9×13 in about fifteen minutes. So good and they keep asking me to make them! They’re great because I can get them done in between doing homework, and they seem much more impressive than the work I actually put into them. 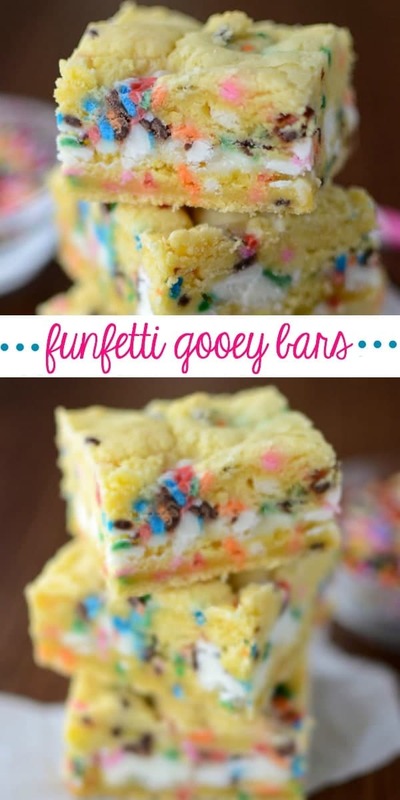 is there a similar recipe that doesnt involve a cake mix as I prefer to make from scratch? maybe a Blondie recipe would work?